Ryan Glanville and the Thompson Rivers WolfPack denied the University of the Fraser Valley men’s soccer team a perfect opening weekend. Glanville, a third-year TRU striker, scored twice in the first half and added an assist on Oriol Torres’s goal after the break as the WolfPack blanked the Cascades 3-0 on Sunday afternoon in Kamloops. The Cascades were coming off a 2-0 win over the UBC Okanagan Heat in their Canada West regular season opener on Saturday, but weren’t able to match that performance in the second game of a back-to-back set on the road. 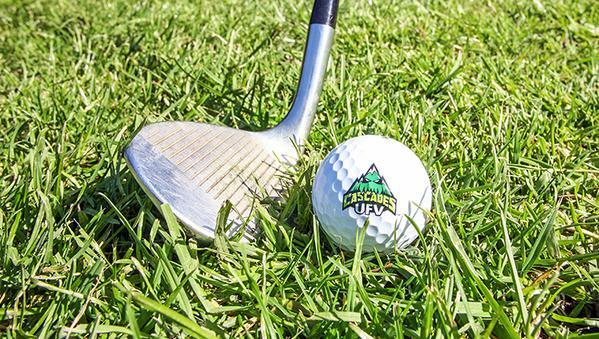 The Cascades now turn their focus to preparing for their home openers next weekend. 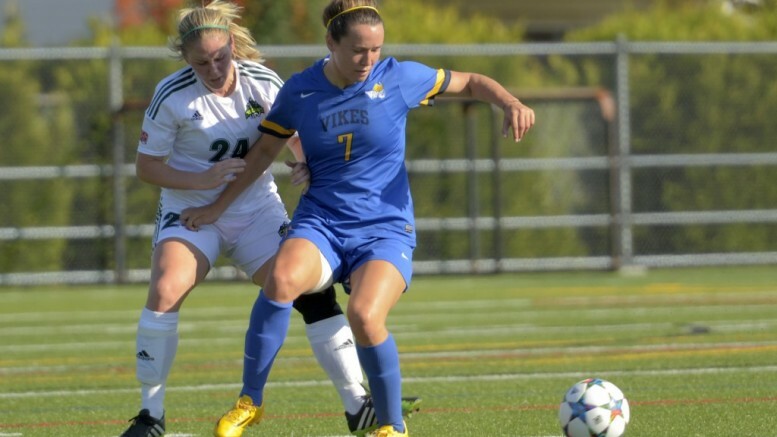 They host the UBC Thunderbirds on Friday, and the UVic Vikes on Saturday. Both games kick off at 7:30 p.m. at Abbotsford Senior Secondary’s Panther Field. Glanville opened the scoring in the fifth minute, off a feed from Colton Walker. He made it 2-0 off a Cascades turnover in the 29th minute, then set up Torres for the third WolfPack goal in the 59th. The Cascades out-shot TRU 16-8, and had a great scoring chance in the 32nd minute when striker James Najman got his head on the ball and sent it just over the WolfPack cage. In the second half, UFV had two apparent goals – by strikers Daniel Molendijk and Daniel Davidson – disallowed on offside calls. UFV and TRU, both 1-1-0, are tied for third in the Pacific Division of Canada West. The WolfPack were coming off a 3-1 loss to Trinity Western on Saturday. The University of the Fraser Valley women’s soccer team picked up its first win of the young Canada West season on Saturday evening, beating the UBC Thunderbirds 2-1 at Abbotsford Senior Secondary. Cascade defender Jade Palm headed home the game-winner in the second half, off a corner kick after the ball caromed off forward Shelby Beck. It was Beck’s second assist of the night – she also set the table for Monika Levarsky to open the scoring in the 14th minute. Shayla Chorney replied for the Thunderbirds shortly after Levarsky’s goal, but UBC could not find an equalizer despite a strong push forward in the second half. The T-Birds (2-1-0) were coming off a 2-0 win on Friday over the Trinity Western Spartans, handing TWU its first CIS home loss in nearly two years. But it was the Cascades who were the more dangerous team in the early going on Saturday. In the sixth minute, Danica Kump sent a ball across the mouth of goal where Brittney Zacharuk had her effort on goal knocked into touch by Thunderbirds’ keeper Olivia de Goede, who ranged quickly to her right to deny UFV of their first goal of the campaign. UBC’s first chance to open the scoring came in the 14th minute when Shayla Chorney sent Taylor Shannik in on goal with a nice through ball. But Shannik’s shot sailed high. The Cascades took full advantage of the missed attempt. Beck sent the ball into the box from the right side where Levarsky drove a hard, low shot to the far corner past the outstretched arms of de Goede. UBC responded in the 20th minute, capitalizing on a corner kick. After Shannik delivered the ball into the box, Krista Whittaker sent the ball back across the grain where Chorney launched a looping header over Cascades goalkeeper Kayla Klim. The Thunderbirds controlled play in the early part of the second half but were unable to find the back of the net. Instead, the Cascades added their second goal. Off a Sunayna Samra corner kick in the 57th minute, Beck nudged the ball to Palm who got just enough of it to send it over the goal line. “I went up, and there was a goalie and a player behind me, and I just flicked it over and it went in,” Palm recounted. UBC continued to pressure the Cascades and thought they had a tying goal off the foot of Nicole Sydor in the 82nd minute, but she was adjudged to be in an offside position. That was as close as the T-Birds would come. 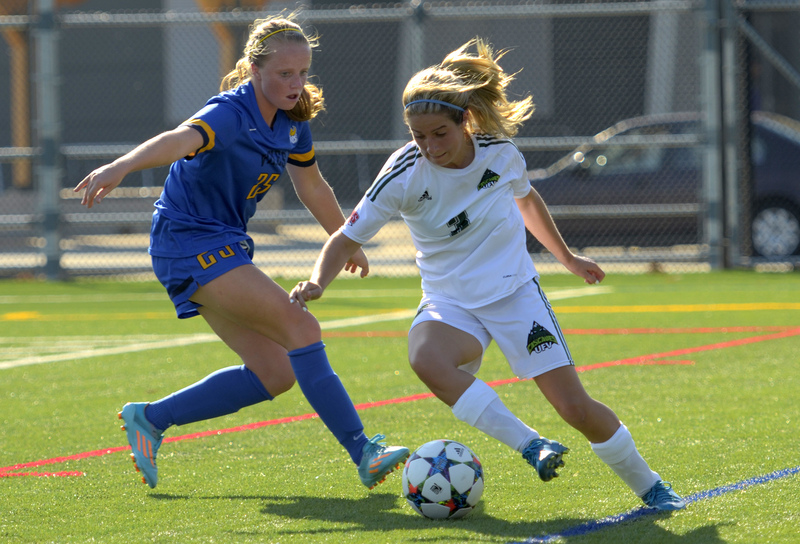 UBC’s Whittaker and UFV centre back Dayle Jeras were named game MVPs. The Cascades are at home again next week to face the Thompson Rivers WolfPack (Friday, Sept. 18, 5 p.m.) and the UBC Okanagan Heat (Saturday, Sept. 19, 5 p.m.). Both games are at Abby Senior. The T-Birds host the Alberta Pandas (Friday, 7 p.m.) and the UNBC Timberwolves (Saturday, 7 p.m.). The University of the Fraser Valley women’s soccer team mounted a strong push in the second half of their Canada West regular season opener against the Victoria Vikes on Friday afternoon at Abbotsford Senior Secondary. But the Cascades were unable to find the back of the net despite several glorious chances, and the game ended in a scoreless draw. The Cascades (0-0-1) wrap up their weekend schedule with a tilt against the UBC Thunderbirds on Saturday (6:15 p.m. at Abby Senior). 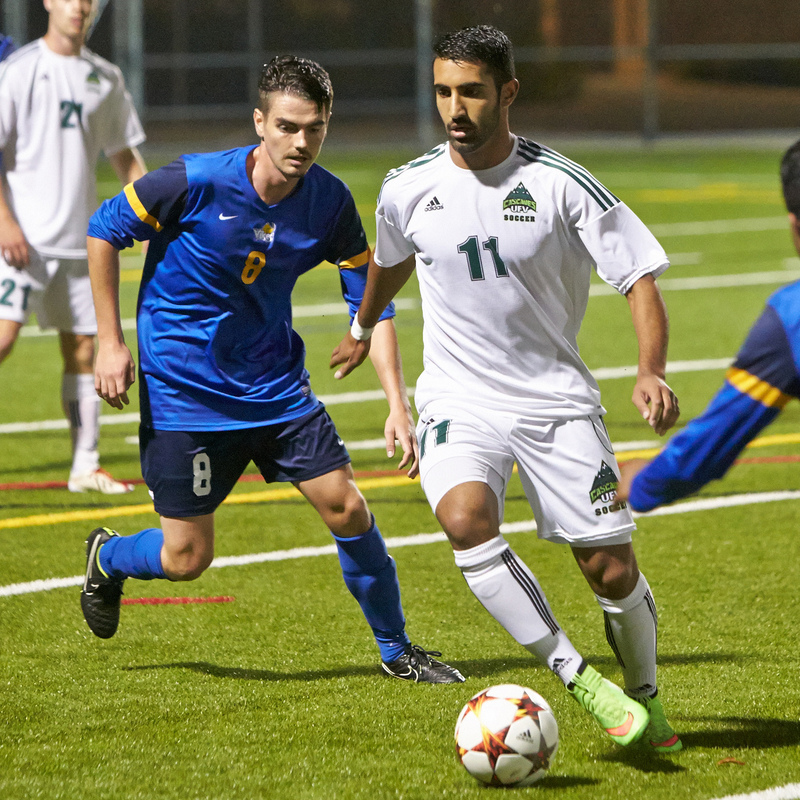 The Vikes (0-1-1) are also in action tomorrow – they visit the Trinity Western Spartans at 5 p.m.
UFV, ranked No. 7 in the CIS national poll, had a strong start on Friday and very nearly opened the scoring in the eighth minute. Off a Sunayna Samra corner kick, Tristan Corneil took a volley from 10 yards out that drilled the crossbar. The Vikes came back down and had a great chance of their own in the 10th minute. Cascades keeper Kayla Klim made the initial save, and on the rebound, Danica Kump cleared a UVic shot off the goal line. In the 19th minute, the Vikes’ Emma Greig got a good look at goal off a corner, but Klim was up to the task. The second half was all UFV – they outshot UVic 9-2, including five shots on target. But Vikes keeper Meaghan Storie was razor-sharp, and her best work came in the 51st minute. With Shelby Beck swooping in on a partial breakaway, Storie moved laterally with the Cascades striker and dove to parry her shot. Gurneet Dhaliwal continued the flurry of chances with a drive to the left post, but Storie smothered it. Klim’s clean sheet consisted of two first-half saves, while her Vikes counterpart Storie registered five stops. The Cascades will look to find a bit more finish against UBC on Saturday. “UBC’s a really athletic team – they have some really good forwards,” said Dayle Jeras, who had a strong game at centre back on Friday for the Cascades. “So we have to be ready in the back. We have a really good core of us in the back with our three defenders and our two holding mids, and everyone played really, really well today. The University of the Fraser Valley men’s soccer team delivered a victory for rookie head coach Tom Lowndes in his Canada West regular season debut, blanking the UBC Okanagan Heat 2-0 in Kelowna on Saturday afternoon. Midfielders Connor MacMillan and Kree Byrne registered the goals, while Cascades keeper Alex Skrzeta was required to make just one save en route to the clean sheet. The Cascades (1-0-0) will look to build on their strong start on Sunday afternoon, when they travel to Kamloops to face the Thompson Rivers WolfPack (0-1-0). The game kicks off at 2 p.m., and will be webcast at canadawest.tv. MacMillan opened the scoring in the 22nd minute, receiving a pass from Daniel Davidson and bursting into the box against several UBCO defenders and launching a shot that found the bottom corner. Byrne made it 2-0 just seconds after the second-half restart. Colton O’Neill moved the ball to Davidson, who sent it to James Najman, who in turn fed Byrne for the finish. The Cascades attempted 10 shots to the Heat’s two, and Skrzeta’s only official save came in the 90th minute. Be the first to comment on "UFV Soccer Wrap/Cascades Men And Women"